since we feel closest to her in nature. Go into the holiday season very consciously. It is far better to prepare for the holidays than to pretend they don’t exist. Even if your plan includes pretending they don’t exist, having a plan will help you through. Before our first Christmas after losing Gianna, Dave and I sat down together and talked about how we wanted to live the holiday season that year. We talked about what would be best for us as a family. We knew they were going to be especially difficult and decided we wanted to spend them alone (just the two of us), without family. We wanted to be free to cry and grieve and felt that we could only do that alone. 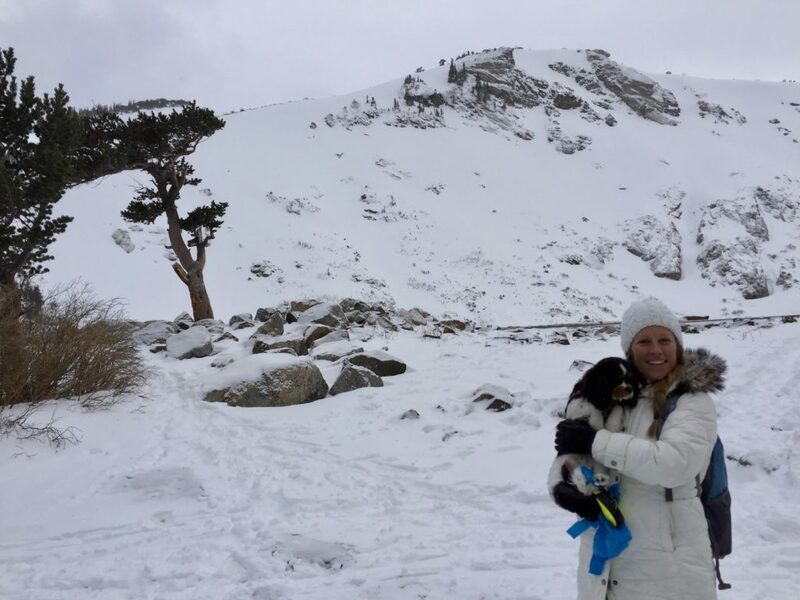 On Christmas Day, after exchanging presents, we went on a beautiful, snowy hike in the mountains with our dog, as we feel closest to Gianna in nature. Perhaps others might feel the need to be around their family, as a good distraction, or because they are supportive and open to your grief. Whatever way you choose to spend the holidays, making a plan beforehand can help ease the emotions and anxiety one may feel as they approach. I think it’s also important to remember that it’s okay to protect yourself, it’s okay that you don’t do anything that you don’t want, and it’s okay to say no to whatever doesn’t serve your soul and your loss. Once you have your plan, make a PLAN B. Perhaps you made a plan to spend the holidays with friends and family. If it doesn’t feel right, have Plan B ready. Maybe that means watching a movie or going to a place that reminds you of your child. Many people find that when they have Plan B in place, just knowing it is there is enough. And remember, you have every right to change your mind, even several times. If you choose to spend time with your family, share with them what would help you during this time. 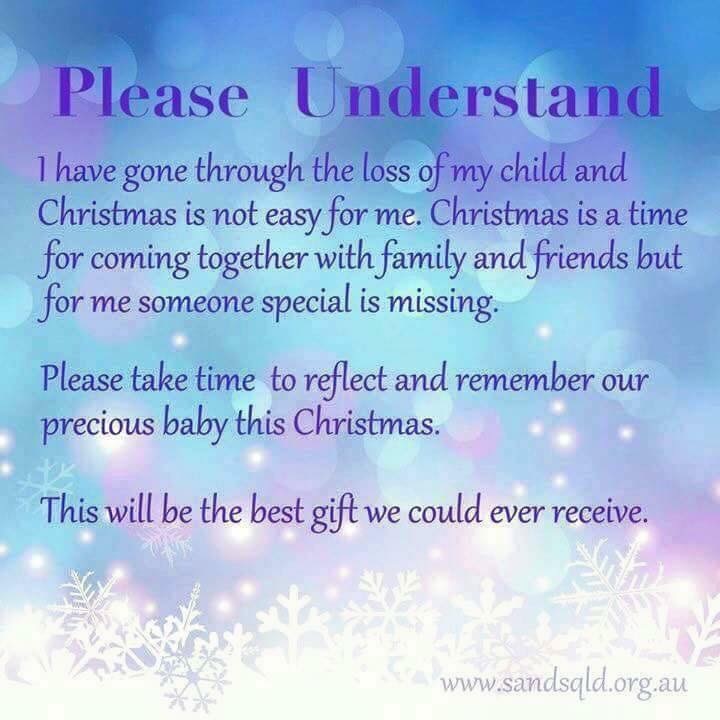 This idea was shared at a baby loss support group I attended last year. 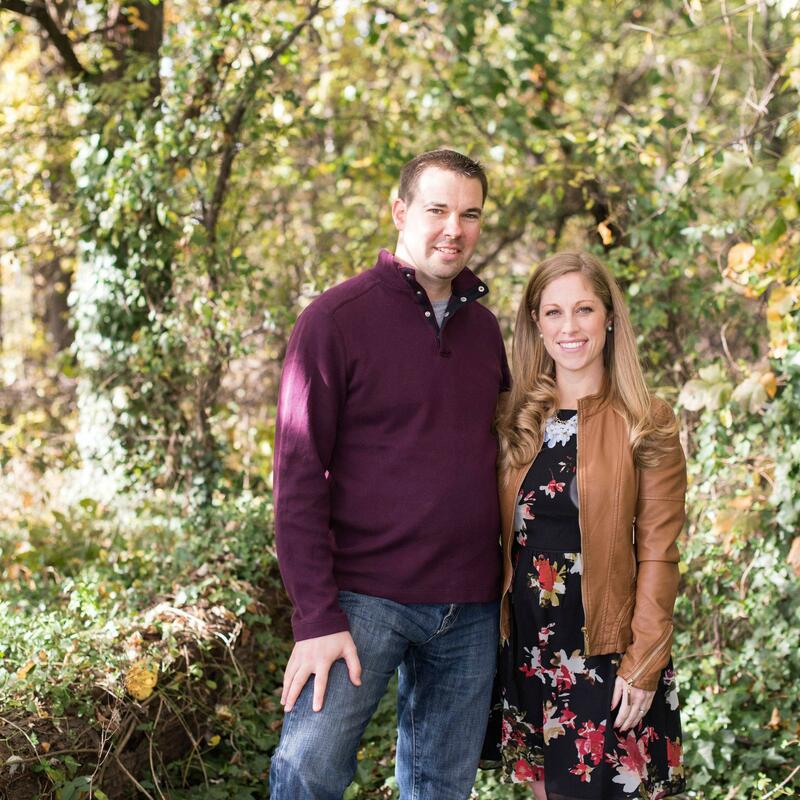 One couple sent their family an email with a few suggestions to help them make the holidays a bit easier. For example, “It is okay to ask us how we are doing/We appreciate when you say the name of our child/We will be sadder than usual but are still okay.” I think this is a great idea, whether you think your family will be receptive or not. We need to help others understand how to be more empathic and comfortable around topics concerning grief and this is a great place to start. Lean into your grief. Don’t be afraid of it. Grief is the necessary process your brain needs to make in order to process your loved one’s loss. Healing comes through the flow of emotions not from repressing them. I write this a lot but give yourself permission to cry when you need to, to be alone when you need to, feel sad when you need to, and even be happy when you need to. Fighting your grief and the emotions that come with it is exhausting and wears you down. Be gentle on yourself this season. And everyday, for that matter. Honor your child by actively mourning. Mourning is the outward expression of the feeling of grief. 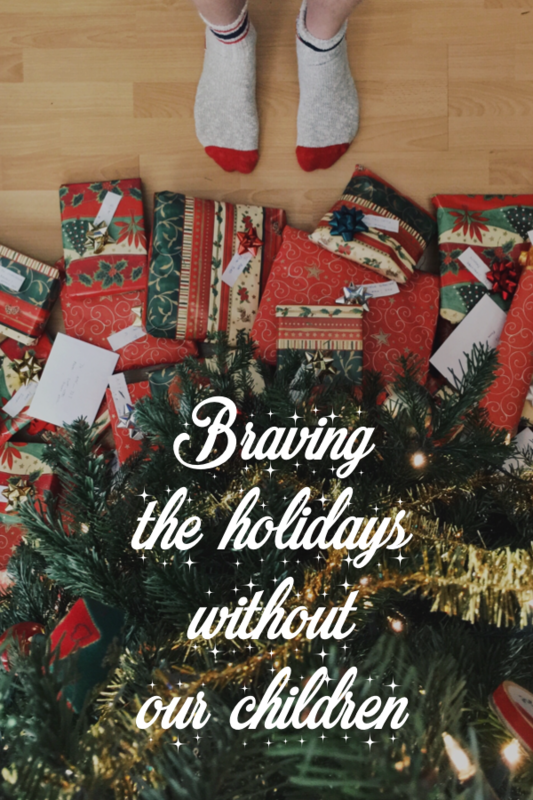 Actively mourning during the holiday season can be a way of helping us to cope with our grief. Openly acknowledging our grief and pain during the holiday season can help us make it through, and perhaps help you find some comfort and even joy. For example, participate in acts of kindness in your child’s memory, light a special candle at family meals, place a photo of your child in a place of honor, volunteer over the holiday, give small mementos to friends or family that remind them of your child. There is a Christmas stocking in our home with Gianna’s name on it and we include her photo on our Christmas cards. 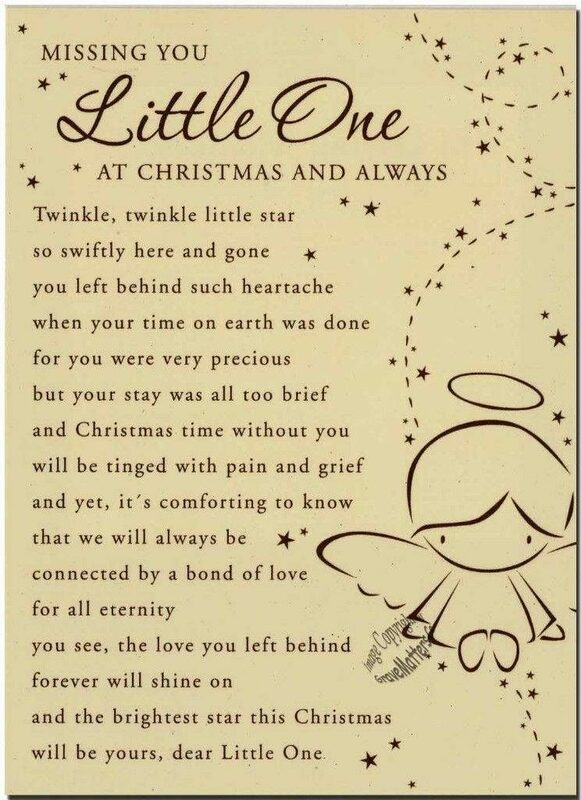 We also volunteer with Christmas Commandos, an organization that anonymously helps families who have lost a child or a spouse through the holiday season. Here is a free book of grief crafts from the Creative Grief Studio. They also have a few holiday craft kits that can help you honor your loved one during this season. Whatever you choose to do, honoring them more consciously this season will be good for your hearts. Allow joy. As we are giving ourselves permission to do things differently this holiday season, also give yourself permission to have some pleasure as well. It’s okay to laugh or smile, even in your sadness. 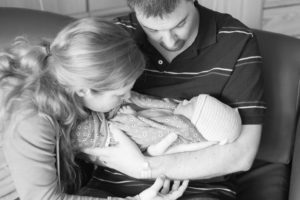 Those things do not weaken your connection to your child neither do they mean that you don’t care or are not grieving. Dare I say, I am confident our babies are honored both through our tears and smiles, through our pain and joy, through us being fully alive, fully present to our emotions and ourselves. In a word, we honor them best by being our authentic selves.